Stainless steel body with high gloss lacquer overlay. 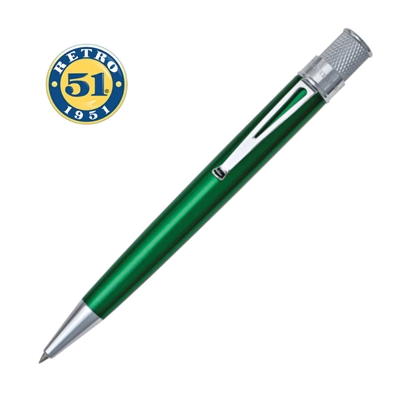 Pen is fitted with a smooth flowing rollerball refill that is retracted with its patented knurl twist-top. 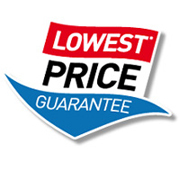 For over 50 years RETRO-51 has been providing pens at best value for money. 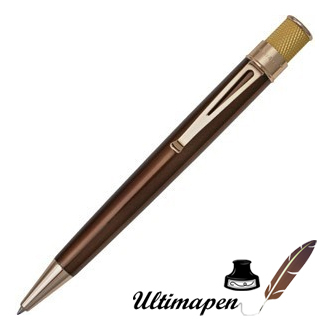 Superb performance, elegant appearance, highest quality, convenient classic Tornado capless rollerball.